Train on the Tacx with an iPad The Tacx Cycling app makes it possible to train with a tablet computer. Genius, Bushido and Vortex riders with a tablet can now train using this free app, developed for the iPad. The Tacx Cycling app contains a simplified version of the Catalyst training software, the nalyser and Real Life Video to play Tacx films. Catalyst Professional training programs and fitness tests for a scientific analysis of your training session. Train on heart rate, power output or slope. Follow your development and become a better rider step by step. nalyser nalyser presents the recorded training data on the screen of the tablet. Your performance is displayed in a graph. Tacx films Cycling in a Tacx film makes a training session more enjoyable and adventurous. The speed of the film is influenced by your cycling pace. If you are cycling up a mountain, the brake of your trainer will generate so much resistance that you can actually sense the percentage of incline. demo film from the Mont Faron, Toulon in France is included. In the Tacx Cycling app you will find a list of all film titles that have been developed specifically for the app. These have a distance of about 30 km. Note The Tacx download films for the Tacx Trainer software and the Tacx films for the Cycling app cannot be combined with each other. The films for the Tacx Trainer software can be ordered via the Tacx Online shop. The films for the Tacx Cycling app can be ordered via the app itself. System requirements iPad 3, iPad 4, iPad ir en iPad Mini Retina. For use with Tacx NT+ compatible trainers (iGenius, iGenius Multiplayer, Genius, Genius Multiplayer, iVortex, Vortex & Bushido) in combination with a Wahoo NT+ dongle. The Tacx Cycling app is not compatible with the Garmin NT+ dongle. The Bushido or Vortex handlebar computer and Genius handlebar interface are not required during use. Note For the iPad 4, iPad ir and iPad Mini, an additional adapter is required for the Wahoo dongle. It can be purchased via the pple Store CCESSORIES Bracket for tablets This handlebar bracket is designed for mounting a tablet on the handlebar. Suitable for handlebars with diameter 26 to 35 mm and adjustable for various image sizes. The design includes a safe distance to make sure sweat doesn’t drip down on the tablet display while training. Wahoo NT+ dongle iPad users need to purchase the Wahoo NT+ dongle first to establish the connection between the Tacx trainer with NT+ communication and the tablet. 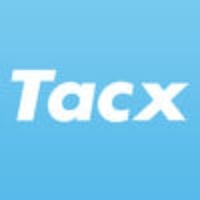 Check these links to find your download for Tacx Cycling app for & iOS or for your device iPad. The app Tacx Cycling app is compatible with te following devices.